Local businesses can help us by sponsoring our athletes, an event, a sport, this website, by making a contribution, fundraising for us, making us your Charity of the Year, providing volunteers, donating raffle prizes, donating a mini bus! and many other ways. Provide regular progress and competition results. 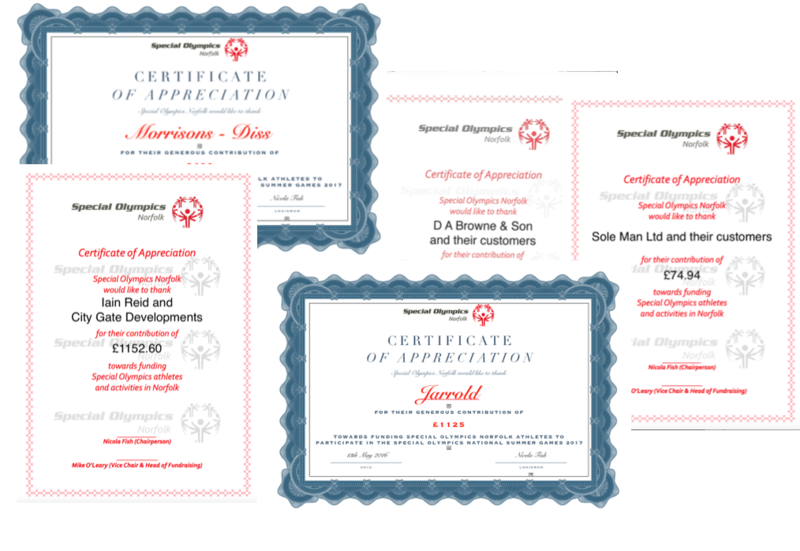 Supporting Special Olympics Norfolk is a great way for you and your staff to learn about disability sports and how it can enhance people's lives. It is an opportunity to increase your brand profile and evidence your commitment to the local community.